As you’re reading this, we’re right in the middle of the 2018 lame duck session of the US Congress. The lame duck session of Congress is that period following an election, but before newly elected legislators assume their roles and outgoing members bid farewell to their offices. This is a time when both parties try to push their priority legislation over the finish line. A few pieces of legislation pertaining to public lands, river and fishery conservation remain in play during the current lame duck. Two of these bills, in particular, provide hope for the future of our struggling wild salmon and steelhead runs in the Pacific Northwest. 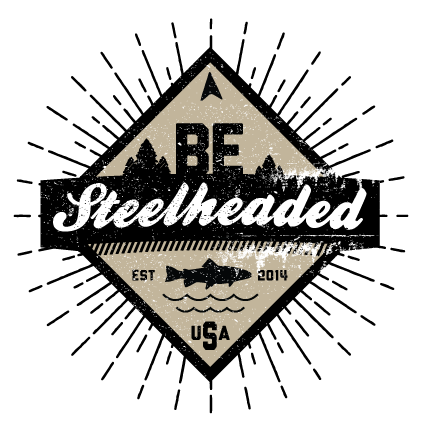 Trout Unlimited and Wild Steelheaders United have played a significant role in building and advancing these two bills, which are high priority legislation for Oregon’s delegation, and are working hard to pass them before the next Congress kicks off on January 3, 2019. These bills include Senator Ron Wyden’s S. 513, the Frank and Jeanne Moore Wild Steelhead Special Management Area Designation Act. This bill would pay homage to two of Oregon’s most heralded conservationists and a veteran who served with distinction in World War II by protecting almost 100,000 acres of US Forest Service land along Steamboat Creek, a major steelhead and Chinook spawning tributary of the North Umpqua River. If you’re not familiar with Frank and Jeanne, the video below will get you caught up. In addition, the Oregon Wildlands Act, also introduced by Senator Wyden as S. 1548, would protect some of Oregon’s most valuable salmon and steelhead fisheries by designating more than 200,000 acres of land as wilderness or national recreation areas and adding more than 250 miles to the Wild and Scenic River System in the Chetco, Elk, Rogue, Molalla, and Nestucca River systems. Both of these bills would be good news for anglers, anadromous fisheries, and all who care about our public lands. You can help push them over the finish line by calling or sending an email to your representative and senators urging them to support these bills to better conserve popular public lands fisheries for ours and for future generations. To learn more about these bills, and other priorities Trout Unlimited is working to advance during the current lame duck, see this recent post from TU’s Government Affairs team.